It's strange how one week can be so different from the next, when it come to fishing that's parr for the course I guess. Don't get me wrong, we did manage to land a good number of salmon this week but the cold weather and two nights of frosty temperatures made us work a little harder. During cold snaps like we just experienced our water cools down really quickly. The weatherman is calling for a bit of rain and much warmer temperatures for the rest of next week. 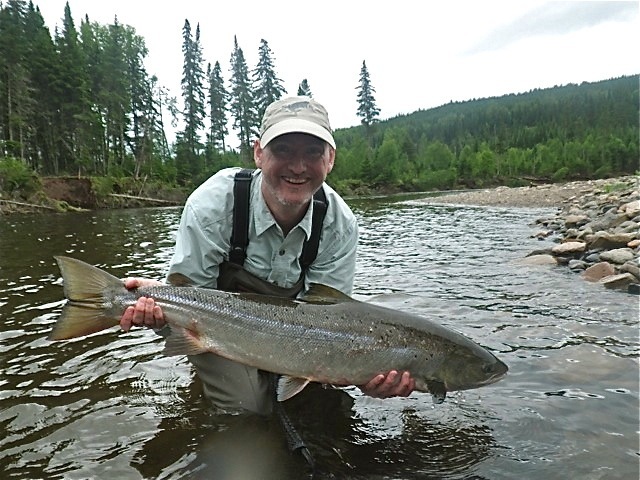 Fly Rod & Reel eiditor Greg Thomas releasing a beauty from the Bonaventure, Congradulations Greg! 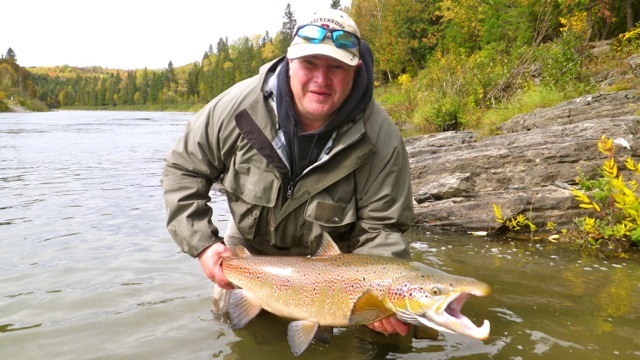 Salmon Lodge regular Marcel Caissie put a nice fish back in the Bonaventure! We have been catching our fish on the Red Francis and Alley Shrimp. When the water is cooler use a sink tip, it get the fly down a bit and it's much more productive. Other patterns that have been working, the Cascade, Flame Thrower and Collie Dog. Dry's weren't on the top of the list this week but we did catch a few on a dark Brown Bomber. 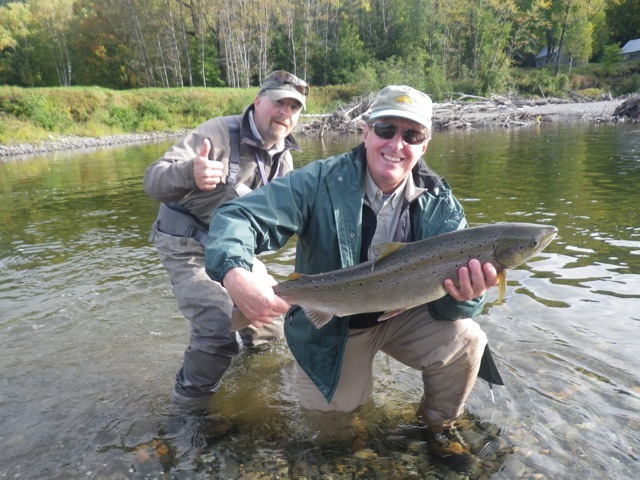 Nova Scotian Gary Oickle with Salmon Lodge guide Pat Cry. Nice salmon Gary! One more week until the 2013 season ends, it passes so fast.